The head of the Islamic Supreme Council of Iraq called for Iraqis to pay attention to the sources of emulation, saying that their recommendations are the only way out of the crises facing Iraq. 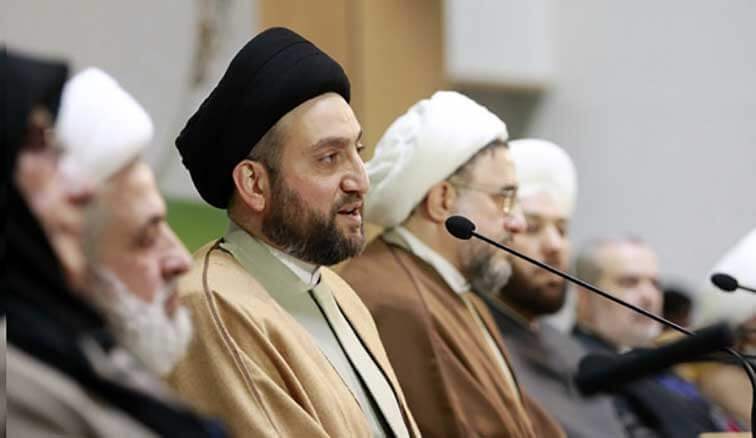 The revered cleric stated that Iraq is facing a dangerous and historical situation and has suffered many ups and downs. He said that at a time when Iraq is drowning in darkness and has many problems to overcome, the sources of emulation have acted as “caring and reliable compasses” which help bring the country out of any crisis it faces. Hujjat al-Islam al-Hakim added that the sources of emulation have proved throughout history that they have always stood alongside the people and have always been attentive toward their needs. “The remarks made by the sources of emulation are not just for personal interests or benefits because such actions are contrary to the position of morality and spirituality of them,” he said. The president of the Islamic Supreme Council of Iraq described the sources of emulation as sympathetic to the needs of the people saying “most of the sources of emulation live in very small houses, some which are 80 square metres or less, in very old parts of the city, and are always seeking to serve and fulfill the legitimate and peaceful demands of the people of Iraq,” he said. Hujjat al-Islam al-Hakim described the idea of breaking Iraq into three independent countries as far-fetched and impossible, and explained that Iraq has a strategic and central role in the Middle East and dividing the country will have many negative implications on the region.